IoT devices are deeply embedded systems comprising, at a high level, systems-on-chip (SOCs), DDR memory, digital power-management ICs, wireless-connectivity transceivers, and microcontrollers. Data transfers among these subsystems happens through various serial-communications protocols, including UART, I2C, SPI, USB, and PCIe, to name but a few. Figure 1 depicts a generic IoT system to give an idea of what one might look like. 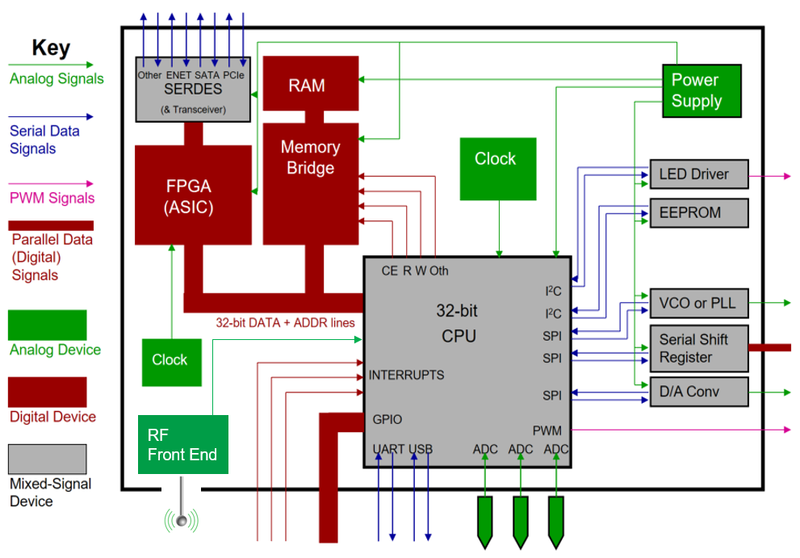 Signals from analog sensors flow into an MCU and digitized with a 12-bit (or better) ADC. The MCU then uses that digitized data to perform other functions in the system, or it might send the data to the cloud via the wireless transceiver for online computation. The sensor-signal data must be correlated to the controller's actions. 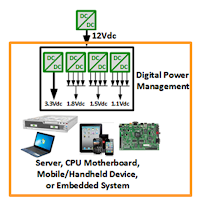 Digital power management: DPM involves control of various DC-DC converter voltages to ensure timely power delivery to one or more power rails. Power integrity: PI entails analysis of whether the converters supply the expected voltage and current to the multiple power rails. Voltage/power rail-sequence test: This testing is critical in ensuring the controlled and orderly boot of power-rail sequences on a motherboard. All ramp times must be sufficient for proper system operations. When it comes to acquiring signals from DC power/voltage rails, there are three possible methods, but only one of them is a very good method. We want to probe the rails in a fashion that introduces as little noise as possible and that will least disturb the circuit. As always in probing, we want our power/voltage rail probe to function as a "passive listener." The first of the three ways of acquiring DC power signals is to use a 50-Ω coaxial cable terminated at the oscilloscope with 1-MΩ DC coupling. While this method does provide reasonable noise performance, it requires high offset capability in the oscilloscope. In addition, the impedance mismatch between the 50-Ω cable and 1-MΩ oscilloscope input produces undesirable signal reflections. Finally, this method is bandwidth-limited to only about 1 GHz at best. A second method is to use a conventional 10X passive probe, where you not only lose the noise performance, but also have the same bandwidth limitations as the previous method. The 10X probe also suffers from limitations in maximum gain. The third, and preferred method, is to use a specialized active voltage-rail probe, which provides low loading on the rail and 1.2X attenuation to keep noise at a bare minimum. Teledyne LeCroy's RP4030 operates up to 4 GHz, enabling it to be used to measure other signals within the IoT device such as the RF signals emanating from the wireless transceiver. Figure 3 provides a comparison of the same signal being acquired with each of the three probing methods described above. The coaxial-cable input is obviously quite noisy, but the passive probe is even worse. Clearly, the best option is the active voltage-rail probe, which not only gives us the best connectivity to our target, but also the best noise performance. 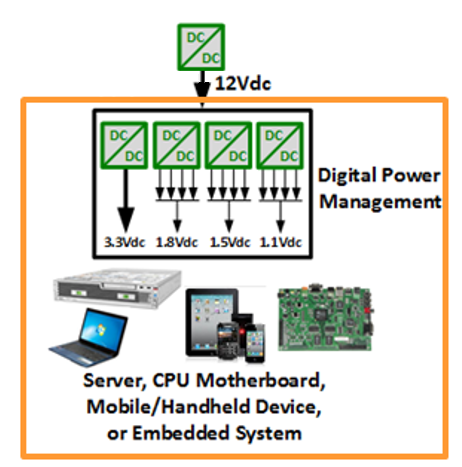 Our next post will begin looking more closely at digital power management and power integrity test applications.